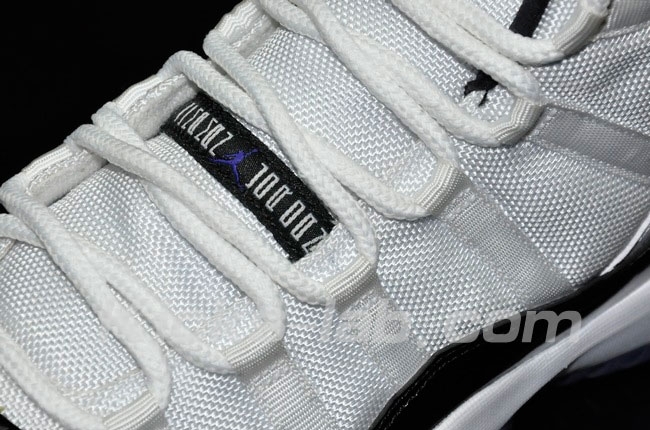 Now that the confusion has settled, here's our first of what are sure to be many detailed looks at this holiday season's "Concord" Air Jordan Retro 11 release. 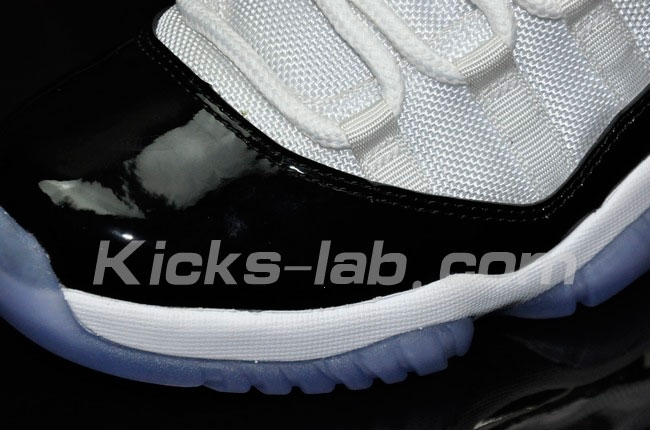 Now that the confusion has settled, here's our first of what are sure to be many detailed looks at this holiday season's "Concord" Air Jordan Retro 11 release. 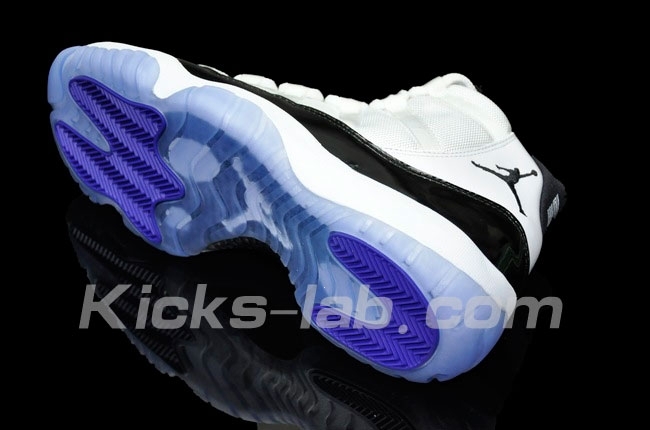 The classic returns sports its familiar white mesh and leather base, black patent leather overlay and concord accents on the tongue Jumpman branding and outsole tread. 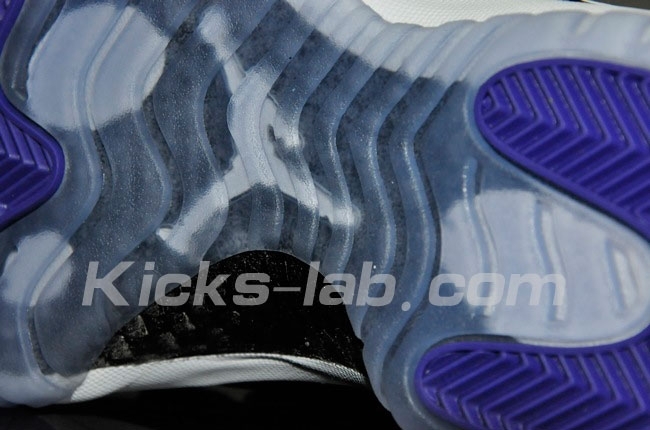 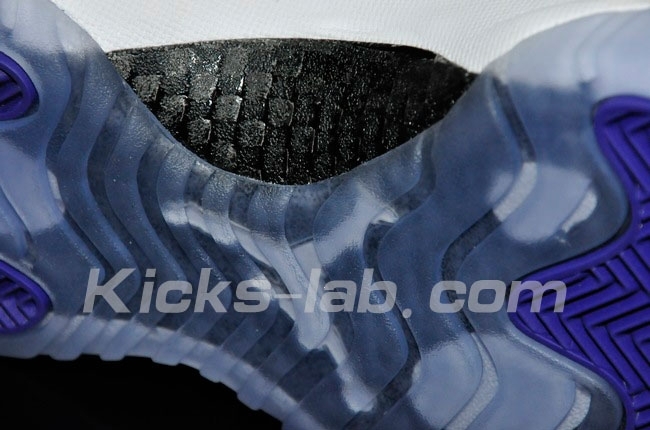 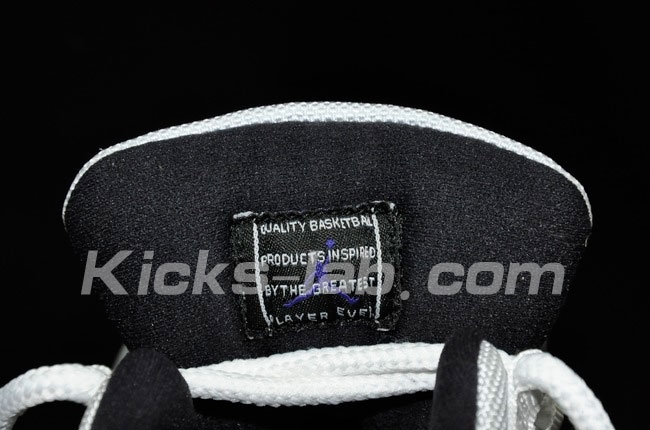 The inner liner, heel tab and rear Jumpman branding are also done in black, white a blue-tinted translucent outsole completes the look below. 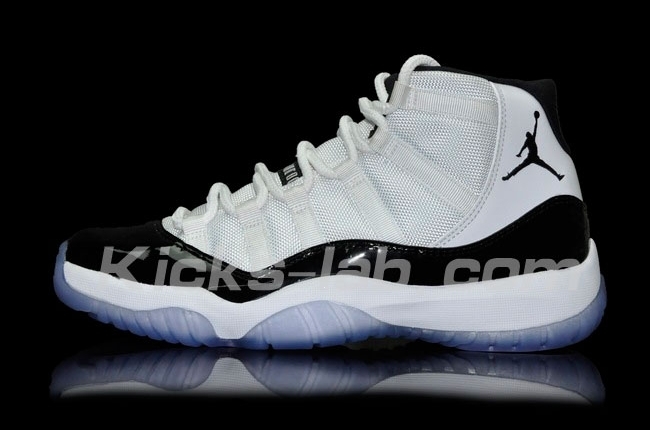 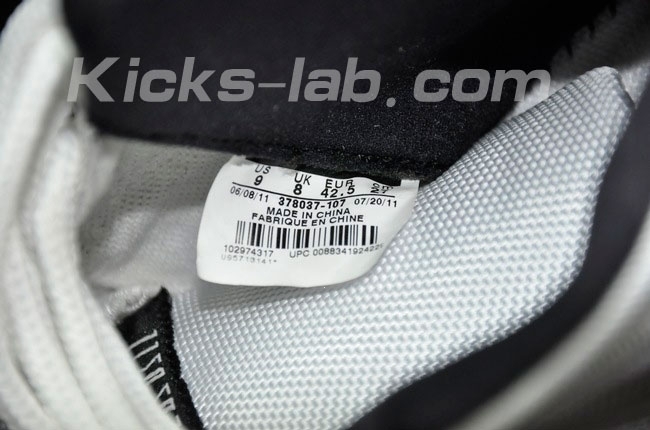 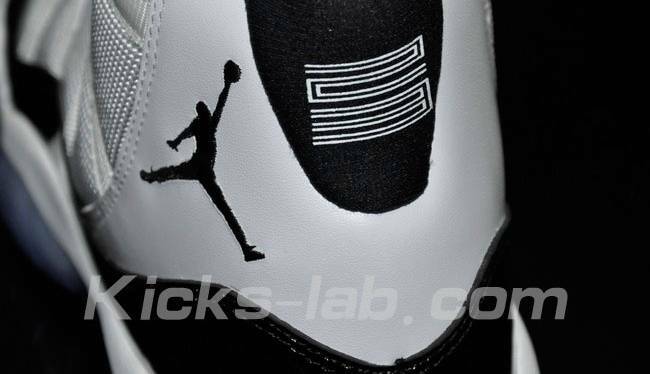 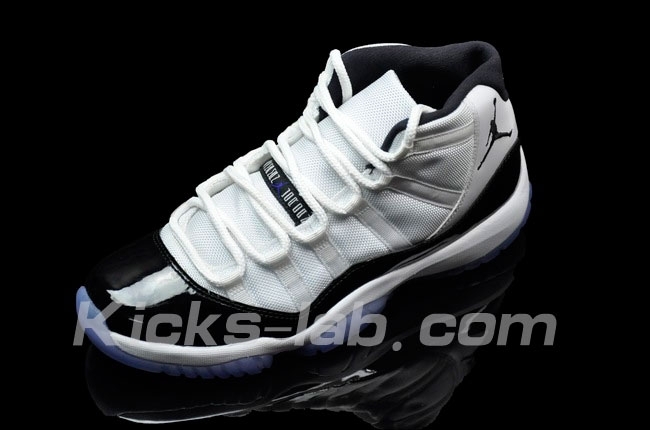 The "Concord" Air Jordan Retro 11 will retail for $180 and will be released on December 23rd.